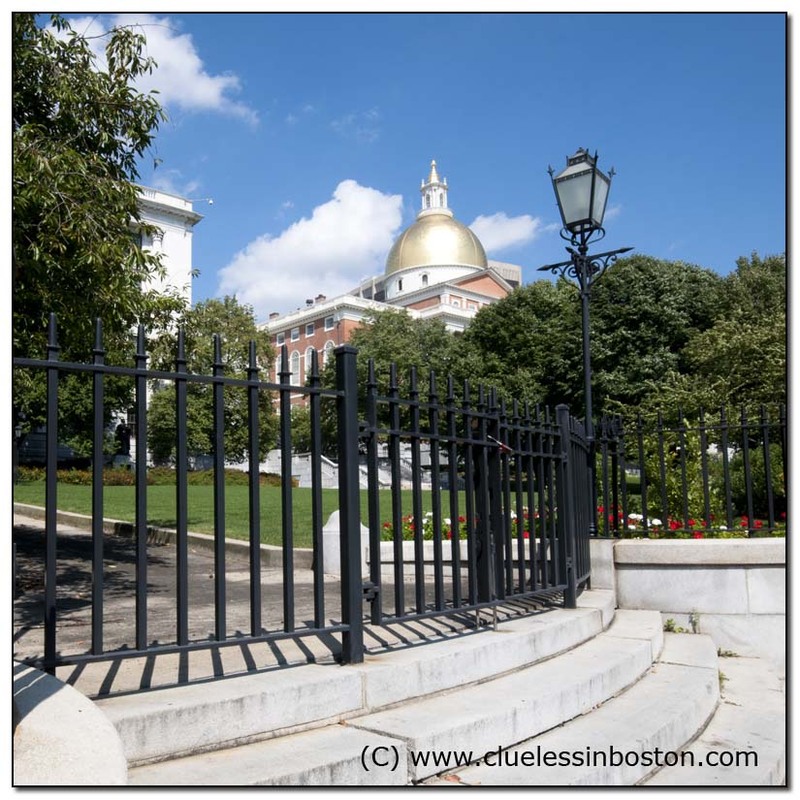 The dome of the State House is a perfect dome to reflect those blue skies. I love the architectural aspects of this scene from the fence to the lamps and the curve of the gardens. Lovely shot full of interesting features. Really gorgeous! The colors are so vibrant! nice angle on this, clueless. Like your viewpoint on this one, great image for today. I know well that I should have been written in English, but I feel far from good enough. And it would really taken a lot of time. Nice is it anyway that you enjoy my photos a bit, images from the Norwegian nature. Unfortunately it is not so many fall colors with us this year. Some say that it caused a kind of disease in some types of trees. We'll see :-) for it is only when night frost come the real red colors appear. Now I'll enjoying back with your photos here, a better start to the weekend, I do not get!! Beautiful shot! The building at the background looks stunning and grand, the gardens that surround it is lovely. This is so well-composed! That fence leads the eye to the building in the background, which is, I assume some kind of government building. Lovely sky over Boston, and I love the buildings in the background! Beautiful Boston. Looks like it never heard about autumn. Mr. Bulfinch would be pleased with your image of his work. I like the way you boldly used the fence. I am learning that the less timid I am with my framing, the better it comes out. I saw Bostonin the summer, they had a program on BBC TV last night that had the city and the state in deep snow, very different. I really loved the city. What a lovely capture of texture blends and tones. I've often used that quote from Groucho. I love it. Beautiful photo with a fabulous sky. Pretty perspective of a building most often shot "straight on." I would like to get to Beantown someday, as I am taking pictures of all the Capital buildings I have seen.